A phrase popularized by the psychologist and author Howard Gardner. It is meant to replace the concept of IQ (a single general intelligence) with a theory of seven domains of ability under which almost every child can be good at something. The seven domains are linguistic, logical, mathematical, spatial, musical, bodily-kinesthetic, interpersonal, intrapersonal. Neither Gardner's specific taxonomy nor his general interpretation is widely accepted by the psychological community. Nonetheless, specialists and laypersons alike concede Gardner's general point that people are better (more "intelligent") at some activities than at others. Despite the fact that schools are not competent to classify and rank children on these highly speculative psychological measures, the concept has become highly popular, probably became it fits in with the already popular notions of "individual differences," "individual learning styles," "self-paced learning," and so on, not to mention its appeal to our benign hope for all children that they will be good at doing something and happy doing it. The distinguished psychologist George A. Miller has said that Gardner's specific classifications are "almost certainly wrong." 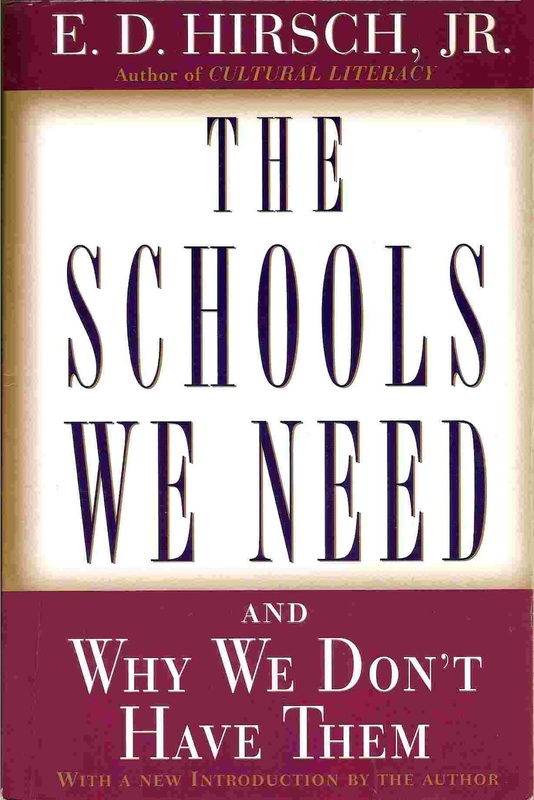 Miller gets to the educational heart of the matter when he observes that even if the classifications were right, no descriptive theory of multiple intelligences could tell us what policies and methods schools ought to pursue. Should they accentuate students' strengths, overcome their weaknesses, or both? The common-school tradition of Horace Mann (with which Gardner would probably agree) implies that we should both encourage students' strengths and overcome their weaknesses, especially in those competencies such as literacy, numeracy, and general knowledge which enable their effective participation in the economic and political life of the nation. Once those common goals are agreed upon, psychological classifications would seem to have little function beyond the encouragement of respect and egalitarianism-admirable virtues that do not require the support of psychological speculation.